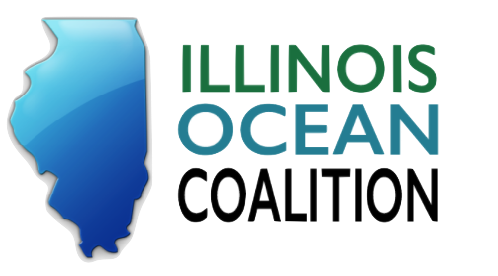 The Illinois Ocean Coalition was established by Aurora University Professor Chris Wells in 2016. In 2017 the chapter continued its focus on aquatic debris, plastic pollution, and local water quality testing with help from Aurora University students. Chris attended the Healthy Oceans Coalition Training in Chicago, participated in the Lake Michigan Coastal Geology Research Group's long-term shoreline change monitoring program along with his students, and in the University's annual Lake Study Day. Late in the year Chicago-based Ann McElhatton joined Chris's team as a chapter co- lead to amplify the chapter's efforts in Illinois.